Selling your car can be a tedious and ultimately disappointing process. If you trade it in, you’re not likely to receive nearly as much as you could for it. If you try to sell it to someone else directly, you have to do all the advertising yourself and spend hours showing it to interested parties with no guarantee that any of them actually will buy it. There is, however, another option that lets you avoid these potential headaches — you can sell your car at auction. It’s tax season, and if you’ve played your cards right this year, you’re probably expecting a big refund from Uncle Sam. You’re likely also thinking about how you’re going to spend that refund. Maybe you have a home improvement project in mind, or have your eye on some expensive new toy. You might be in the market for a used car. Though because the average tax refund is only a few thousand dollars, you might not think you can buy a quality used car solely with the money from your refund. That’s where you might be wrong: It is possible to spend your tax refund on a quality previously owned car and owe nothing else — if you decide to buy a used car at auction. If there’s a dream sports car on your bucket list, you probably have fantasies about the day you finally drive away in it and call it yours. 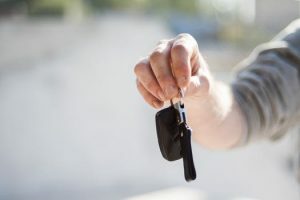 You might imagine yourself spotting the perfect car in the classified section, seeing it sitting in a neighbor’s driveway with a “For Sale” sign in the windshield, or even attending one of those fancy classic car auctions. What you might not fantasize about is buying your dream sports car at a public auction, but you might be surprised to find out how likely you are to find your dream car there.